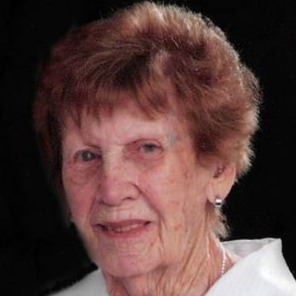 Sarah Margaret Spriester, 100, of Leawood, Kansas, previously of Kansas City, North passed away April 6, 2019. Margaret was born October 29, 1918 in Kansas City, Kansas. Services will be 11:00 am April 12, at Porter Funeral Home, Kansas City, Kansas. Family will receive friends from 10:00 am until time of service. Burial will follow in Memorial Park Cemetery. Margaret was the Daughter of Charles W. and Edith K. Russell and graduated from Wyandotte High School of Kansas City, Kansas. She was preceded in death by her husband Fred Spriester Jr. in 1976. Survivors include son; Fred R. Spriester and wife Rebecca of Goodyear, Arizona. daughter; Donna K. Phillippi and husband John of Leawood, Kansas, grandsons; Steve Spriester and wife Nichole, Russell D. Spriester and wife Jamie, granddaughters; Anna Nooteboom and Heather Nooteboom, as well as great grandchildren Peyton, Tatum, Sloane, Jacob, Aaron and Oscar. In lieu of flowers the family requests donations to Antioch Community Church of Kansas City North. A special thanks to Dr. Scott Kuennen of Clay Platte Family Medicine and Asana and Brookdale Hospices.